As both a chartered ergonomist and a physiotherapist, Emma brings unique insights into optimising human performance and preventing injury. 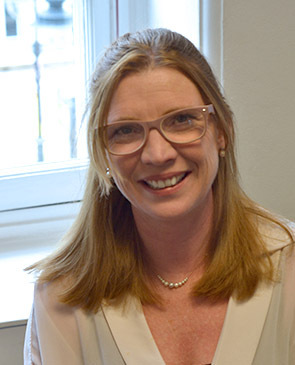 Emma holds a Graduate Diploma in Physiotherapy and is a member of the Chartered Society of Physiotherapy, as well as being registered with the Health and Care Professions Council. She also has a BSc (Hons.) in Health Sciences, an MSc in Ergonomics, and is a registered member of both the Institute of Ergonomics and Human Factors, and National Back Exchange. She is a qualified access auditor, having completed her training with the Centre for Accessible Environments (CAE). Emma has worked as a physiotherapist specialising in back care and occupational health, and as a university lecturer, teaching ergonomics, biomechanics and human movement. She has ergonomics experience in industry and healthcare, and has managed projects for clients including HSE, The Royal College of Nursing, various NHS Trusts, Royal Mail, Royal College of Art, Helen Hamlyn Trust, NPSA. Emma was joint author of Evidence Based Patient Handling (Routledge 2014), sat on the RCN Back pain panel, and contributed to Edition 5 of The Handling of Patients, published by Back Care 2005. Health ergonomics: patient safety, occupational health, design of work spaces, tasks and equipment. Physical ergonomics: biomechanics, anthropometry and design of equipment and workspaces. Manual handling: risk assessment, task analysis and design, back pain, posture, biomechanics and human movement. Training: manual handling, display screen equipment, problem solving and risk assessment. Risk assessment: developing policies and procedures.